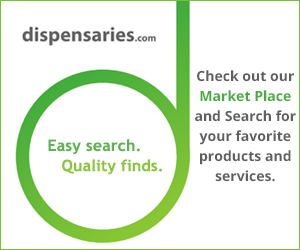 The use and applications of cannabis are wide ranging. We’ve explored THC vs. CBD and the many benefits reported medicinally of the latter. But what about cannabis for pet-care? One company, Canna Companion, has recently launched a line of retail products that are hemp based and developed exclusively for pets. According to Canna Companion, the formulas were developed after 15 years of research and clinical application by the husband and wife veterinarian team of Dr. Sarah Brandon and Dr. Greg Copas. Drs. Brandon & Copas are accepted leaders in examining cannabis’ potential as a viable holistic compliment to more traditional forms of veterinary medicine, providing a truly integrative approach to utilizing cannabis in pets’ well-care regimens. Canna Companion products have been available via e-commerce since 2014 and now the Company is reaching into all levels of the pet supplement industry, broadly distributing to retail stores, veterinary hospitals and clinics, and through online vendors. The Company and its products have received significant support from some heavyweights from the areas of veterinary academia, the pet products industry and the entertainment world. Professor Peter Cowen of North Carolina State University’s College of Veterinary Medicine and now the Company’s Chief Clinical Epidemiologist and an Advisory Board member commented: “Based on my own experience with my dog, Londun, there is something of extreme value here. I am impressed not only from a therapeutic perspective, but also from a psychological perspective.” Professor Cowen is orchestrating a clincial study at NSCU for the coming year and the Company is looking forward to presenting those findings to the veterinary community and the public at large. The Company’s on-line store offers the formulation available in capsules specifically designed for dogs and cats and their varying body weights. New products in the pipeline for the coming year include liquids, flavored chews, an equine formula and gift cards. The products are also covered by two of the world leaders in the pet insurance industry, Trupanion and PetPlan.